Your sister needs you. But her child needs you more. …A moving page-turner with a heart-pounding dilemma: Your sister or her baby. Who do you choose? Fans of Jodi Picoult and Jojo Moyes will love Kelly Rimmer. Kelly has sold over 600,000 digital copies of her previous four novels: Me Without You, The Secret Daughter, When I Lost You and A Mother’s Confession. Her novels have been translated into more than 20 languages. 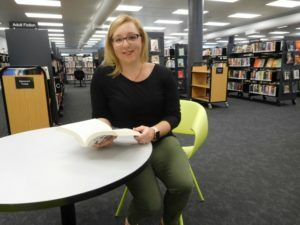 Before I Let You Go is Kelly’s first novel to be published in print in Australia and New Zealand. Kelly lives in Orange with her husband, two children and fantastically naughty dogs, Sully and Basil. Kelly will be in coversation with another local author – Kim Kelly on the night.